I've been picky about my clothing since before I can remember. My mom recalls me demanding to wear a "floral print, baby blue shirt with a gogo skirt and heart stockings" when I was four years old. In fifth grade when girls were starting to wear flares I was going through my TLC's Left-Eye baggy jeans/cargo pants and a ponytail tomboy phase. I've always been a little different when it comes to what I wear, so I knew when I had kids I'd be equally picky about their wardrobe. Since shopping is what I'd call "limited" here in Lincoln, I've become somewhat of an expert at finding great kids clothing online. My dirty little secret to styling my kids? Wait until your favorite clothing line releases the next season, and snag all your favorite items from the previous season when they're on sale! When it comes to kids stuff, no one cares if it's last season, especially not your kids. They're too busy living their best baby life. Let's all do the same! 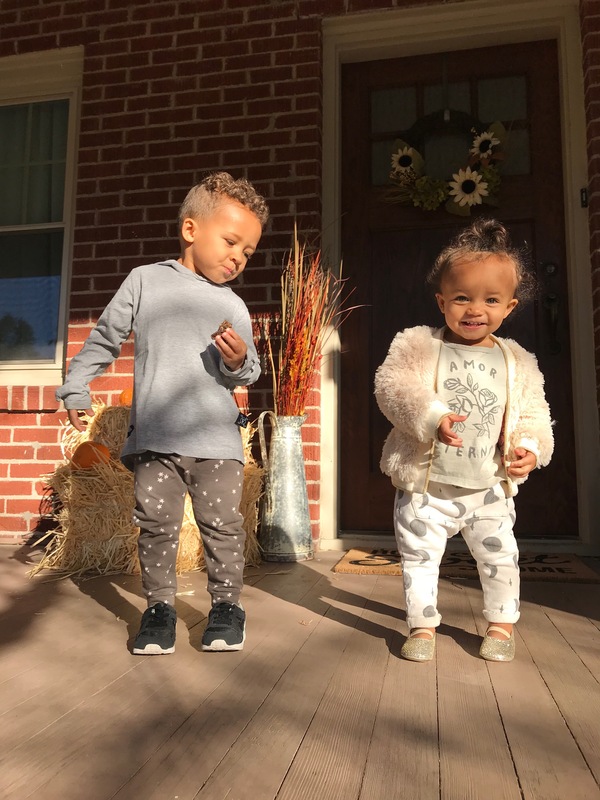 Here are some of my favorite kids clothing finds (in no particular order) and also some of the best Black Friday deals for your baby loves. I'll try and keep these deals updated throughout the weekend. Have fun! Zara Kids - A lot of the really big international clothing companies have created kids lines that are equally as trendy. Zara is no different. They offer a wide selection of stylish youth pieces from newborn to teenager. I always hear moms complaining that they can never find cute little boys clothing. Zara is your answer. Beacon loves their joggers, mostly because he can jump around like a wild man in them with no restrictions. Check out their "ready to party" selection. Plum - One word: TUTUS. These little leotard tutus are awesome for any special occasion -- or just for when your little mama wants to be fancy around the house. Crew and Lu - Think Little House on the Prairie meets 2017. Crew and Lu has awesome girls pieces. Rock Your Baby - If you're looking for fun and trendy, Rock Your Baby is a home run. These pieces are more of a splurge, but they usually have a pretty decent sale section so keep checking back. HEIR Kid Worldwide - Might be my favorite company for the little guys. 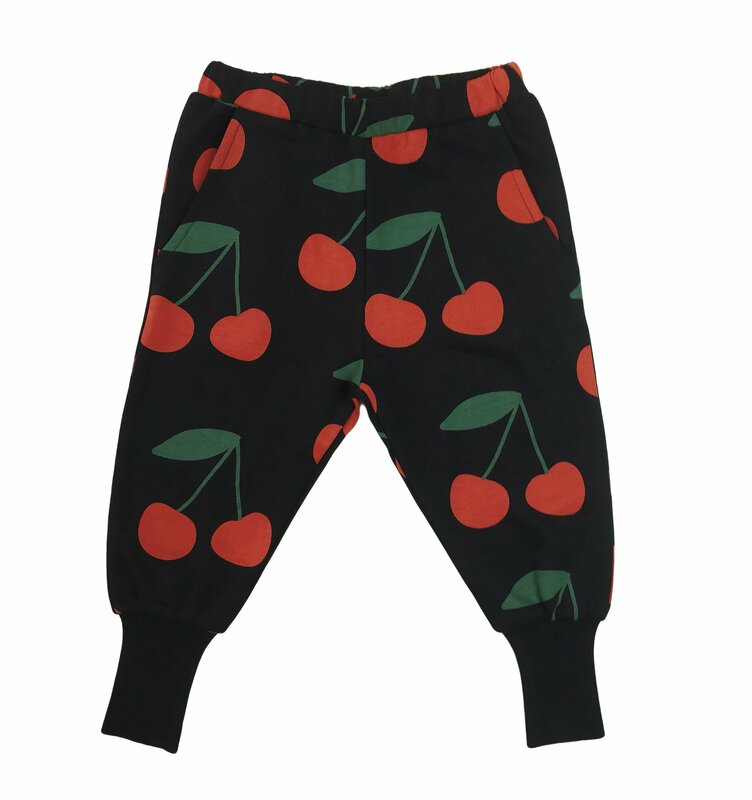 Their sweatsuits are very pricey, but they are high quality and use CODE: CYBERPANDA for 60 PERCENT OFF RIGHT NOW. The Borrowed Boutique - This company had a genius idea. Rather than sell you expensive kid pieces that your little ones are going to quickly grow out of, they rent them to you for a few days. I did this for my daughter Ora's first birthday. I loved a Tutudemonde outfit that cost more than $100. For one day? Nope. So I rented it for $25. I added a cape, and even rented my son a Stella McCartney vest to wear for the special day. Rent one item get one free through Cyber Monday. Bobo Choses - This is my husband Jordan's favorite kids clothing line. If you're looking for a European/non-American look for your kid, Bobo Choses from Spain is it. But this is definitely one of those sites where you wait until the discounts hit. Check out the sale section here. H&M - Trendy and affordable. Lots of blacks and grays for your little trendsetters here.Thirty percent off everything plus free shipping through Cyber Monday. Target - Do NOT sleep on your friendly neighborhood Target. Tons of Black Friday deals this weekend, but try and check out Target's kids sections at the beginning of each season too. If you get there before the crowds, you can grab some of their best baby and toddler pieces before they get picked over. Gap - If I need simple, well-made basics for my kids, Gap is tried and true. 50 percent off online and in stores through Cyber Monday. CODE: CYBER. Old Navy - Simple and fun, and even better on your wallet! Cyber weekend sale = 50 percent off everything. Donsje - This company out of Amsterdam has the most amazing baby booties. This will be a newborn splurge, but just look at these nubuck boots they have for your little ones! Dreamy. Lex&Liv - Shoutout to Western New York! This Rochester, New York shop was born out of the owner's desire to provide a healthier, more environmentally friendly shoe for her daughter. Lex & Liv moccasins feature leather that is tanned and dyed using only vegetable ingredients. My daughter Ora wore the Pegasus for her first birthday. They're my favorite! CODE: JOYJOY for 20 percent off everything on the site through midnight EST on 11/27. Go Plae - If your kids are wild and crazy like mine, they need shoes to keep up with them. Plae has been our favorite "active shoes" for Beacon. Select styles are 40 to 60 percent off right now. Asics - You know I'm going to give our OG supporters a shout out here. Even if Asics weren't my husband's sponsor, we would have some Tigers for our kids. I mean just look at these camo GEL-Lytes! 50 percent off select styles on Asics Tiger with code TIGER50 through Cyber Monday. Freshly Picked - If you're a mama, Freshly Picked needs no introduction. Tons of moccasins in just about any color/design you could imagine, and check out my favorite -- the new Chelsea boot. Up to 50 percent off select styles through Cyber Monday. Childhoods Clothing - We have to hide these pajamas from Ora some days because she refuses to wear anything else. Childhoods Clothing has very comfortable sweat sets, rompers, dresses and accessories to match. CODE: BLACKFRIDAY17 for 25 percent off select styles. Hello Shiso - The coolest hair accessories in the world basically. Hello Shiso has emoji-like hair clips for every occasion. Butterflies, Christmas Trees, cats, ladybugs, acorns, cactus and french fries -- they've got just about everything covered. Baby Bling - Before Ora started ripping her headbands off and throwing them on the ground in protest, she wore these ones just about every day. Lots of goodies in the sale section right now. Paper Kite - If you're in town (and even if you're not) check out the awesome kids clothing and toys at Paper Kite in the College View neighborhood. They also have the best greeting cards around. 4744 Prescott Ave in Lincoln. They also have a location in Omaha! (pk)flynn - With an amazing home goods section in addition to the sweetest pieces for your babes is (pk)flynn. 3700 village drive suite 300 in south Lincoln.